We understand the challenges of property ownership in Aspen, and, with more than 40 years of successful operations, we have the experience and resources to maintain and protect your investment. 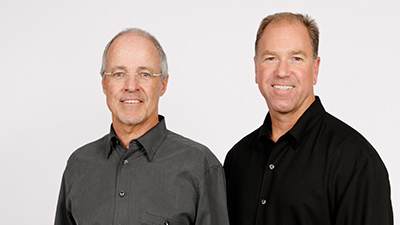 Long-time locals and Frias Properties Managing Partners Chuck Frias (left) and Tim Clark (right) lead our established Property Management teams and are personally committed to expertly managing and maintaining your Aspen property. Offering a range of services, Frias Properties is equipped to manage your condominium, your home, or your entire building. Contact us to learn more about our scope of services and what we can do for your unique Aspen home. Why choose Frias Properties for Aspen property management? 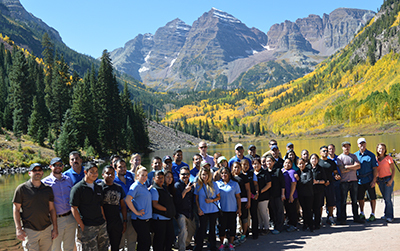 Aspen offers unique challenges to property owners, and after four decades of managing Aspen properties, our teams and processes are honed to tackle those challenges head-on. We adjust our staffing for seasonal surges in maintenance needs and assign personnel to cover emergencies 24 hours a day. Our equipment and supplies are field tested for effectiveness in Aspen's high-alpine environment, and our property managers anticipate and act on annual maintenance tasks. Frias Properties commits to servicing our homeowners 24 hours a day, seven days a week. All property management tasks, no matter how large or small, are spearheaded by our own highly experienced staff instead of a third-party vendor. We hope that you have the opportunity to enjoy your Aspen home away from home as much as possible. But when you're away, you can rest assured that Frias Properties will provide excellent property care year after year. Let's discuss your home's unique needs. Contact us to set up a time to connect. If you're interested in earning vacation rental revenue for your Aspen home, learn more about our Vacation Rental Management here. Property owners are the backbone of Frias Properties, and our close relationships with homeowners have allowed us to thrive in Aspen for more than 40 years. We greatly value our clients' feedback, and the remarks below show us that our focus on exceptional service continues to please our homeowners.